Katrina Ogden was born and raised in Polk County, Florida. At the age of twelve she began her dance training with Florida Dance Theatre Academy. She became a trainee with the FDT Company and is now in her first season as a Company Member. Katrina placed second in ensemble at Youth America Grand Prix regional and competed at the YAGP Finals in New York. She has also placed in the Top Ten in the Classical Solo Category at the Elite Dance Tournament. 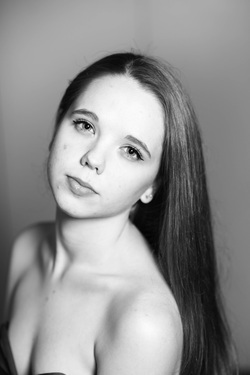 She has received scholarships to summer intensives at BalletMet and Earl Mosley Institute of the Arts. Katrina has performed many styles of dance and most enjoys exploring contemporary movement. She is looking forward to her 4th season as a company member with Florida Dance Theatre.